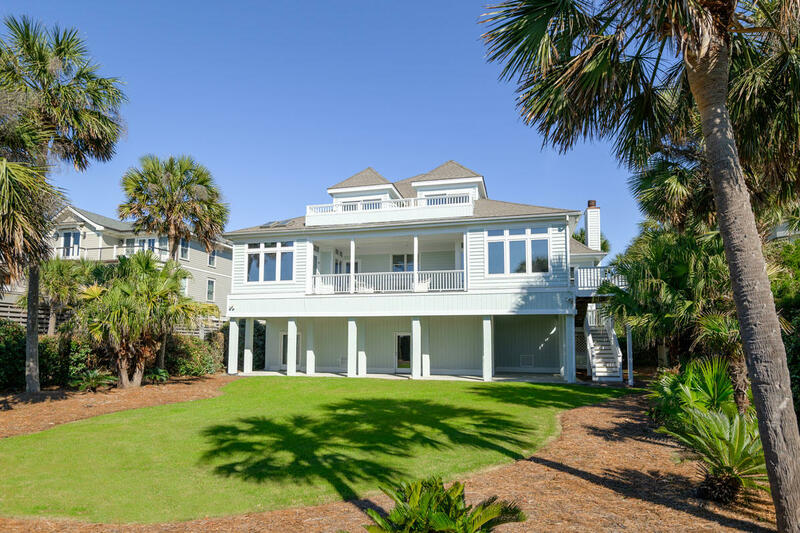 Beachfront home on the Isle of Palms. 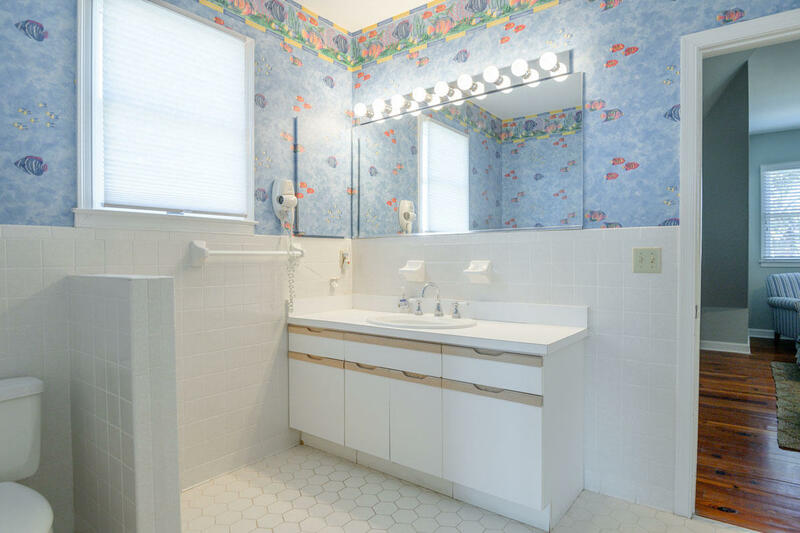 Located on Palm Blvd. 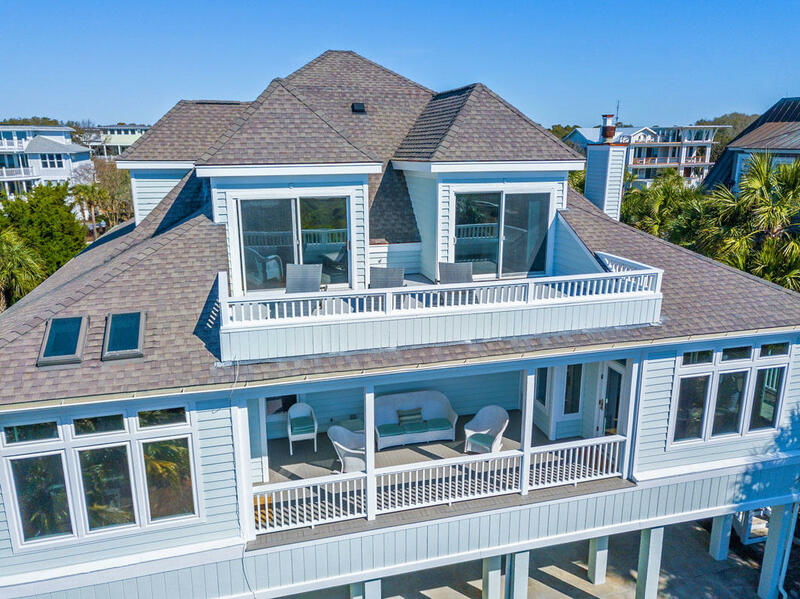 at 38th Avenue, this contemporary Southern beach house boasts panoramic views of the Atlantic Ocean from indoor and outdoor living spaces, including 3 levels of decks. 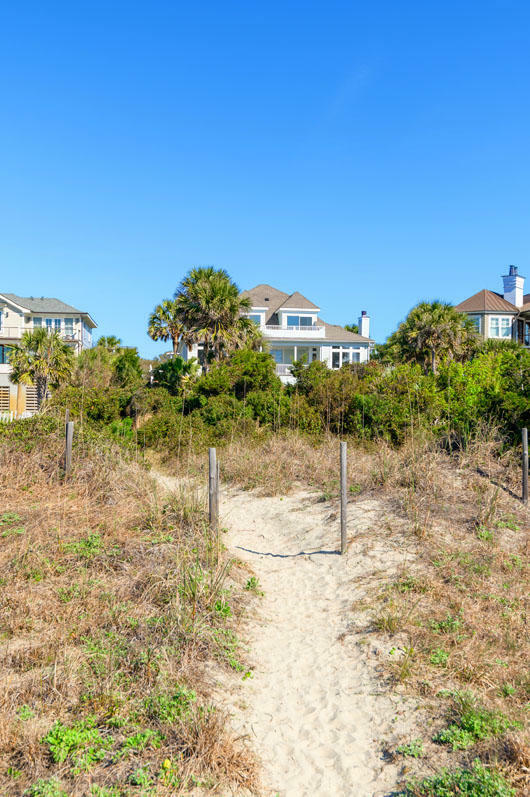 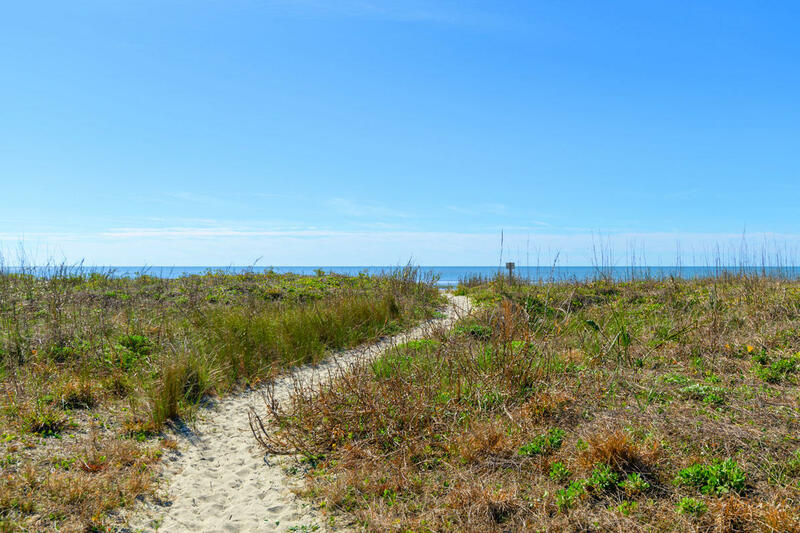 IOP beach access is directly adjacent to the property, accessible through a gate in the back yard. 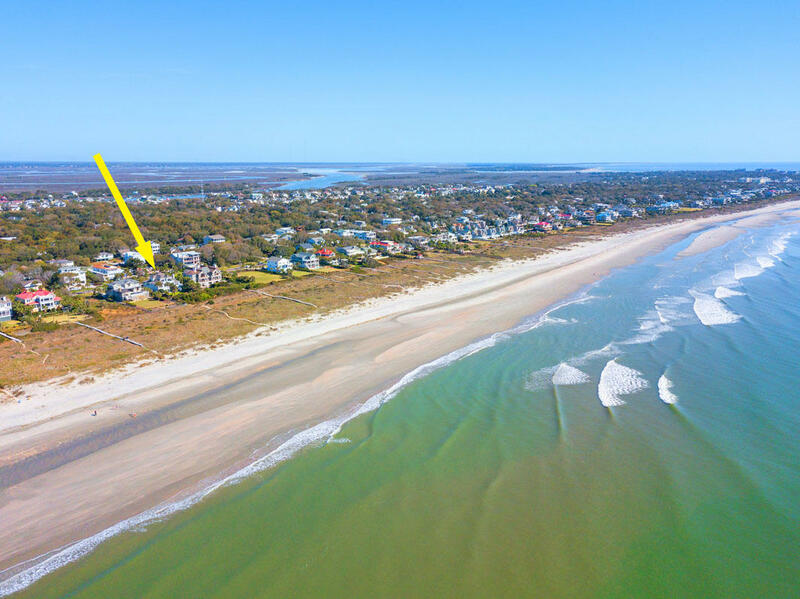 The home is situated on a more private part of the beach, yet just around the bend from the town's commercial area with grocery store, restaurants and shops. 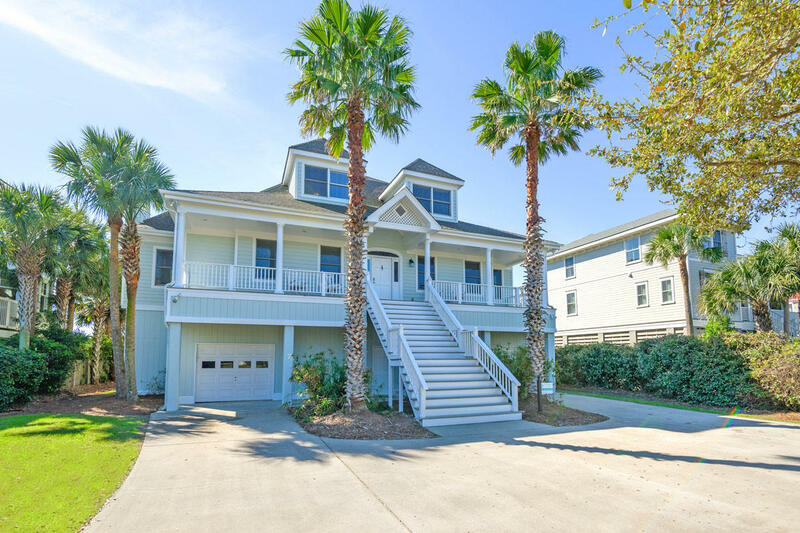 It's ideal for year-round beach town living or as an investment property with a healthy rental history.The home lives large with 3 separate living spaces, 2 dining areas, an open kitchen and 5 roomy bedrooms that sleep 12. 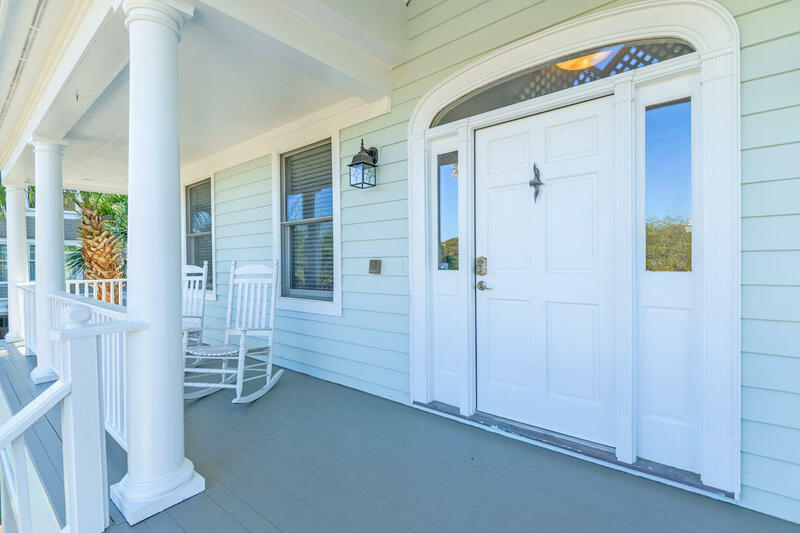 A gracious front porch is perfect for rocking chairs. 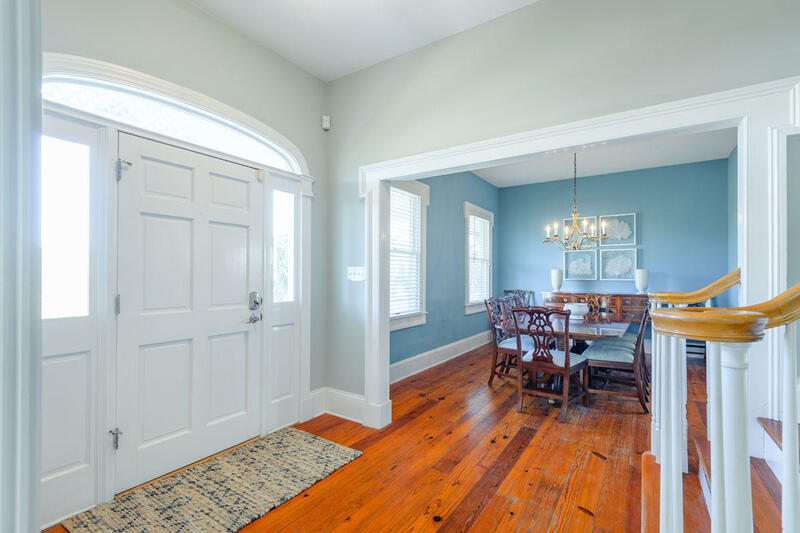 Inside, the entry hall is flanked by a formal dining room to one side and pocket doors which lead to one of three living rooms to the right. 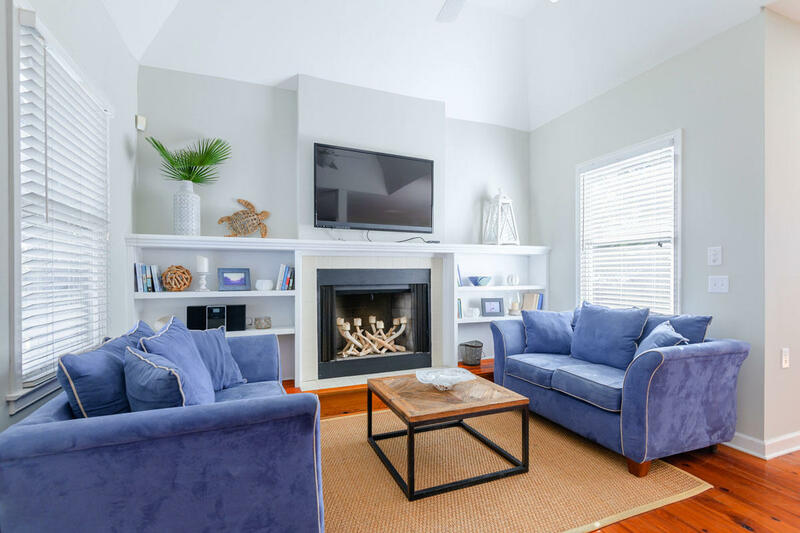 This space is separated from the other living areas to the back of the house and features walls of built ins, allowing it to function as a media room for the kids to play games, a place for the guys to watch sports, or a quiet reading room. 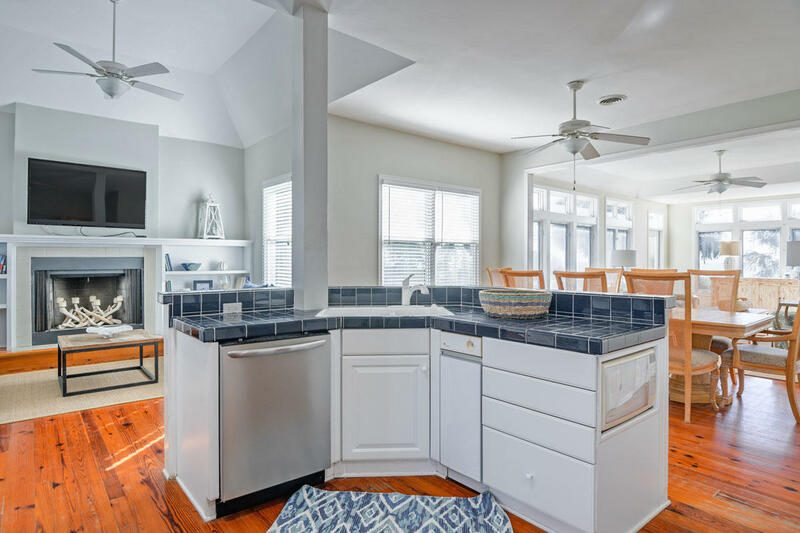 On the beachfront side of the house, a central kitchen connects to another sitting area with a fireplace. 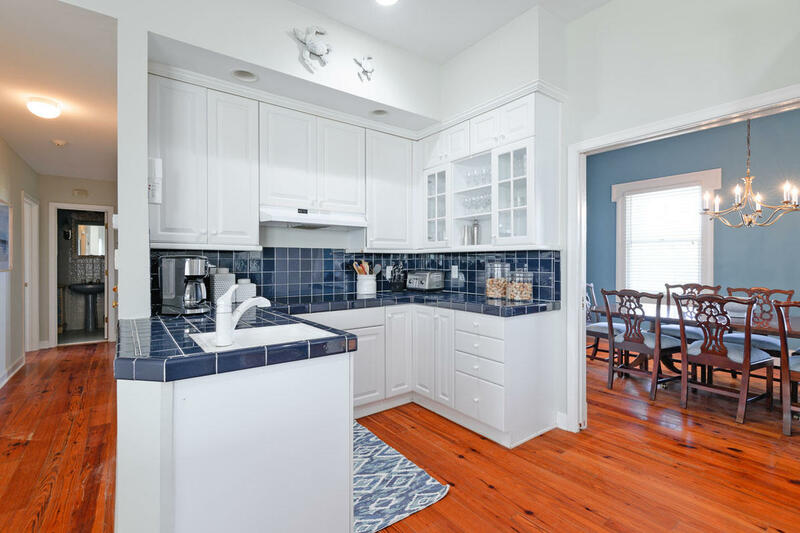 A full-sized laundry room with an extra fridge, plus a large walk-in pantry easily accommodate large family meals or entertaining. 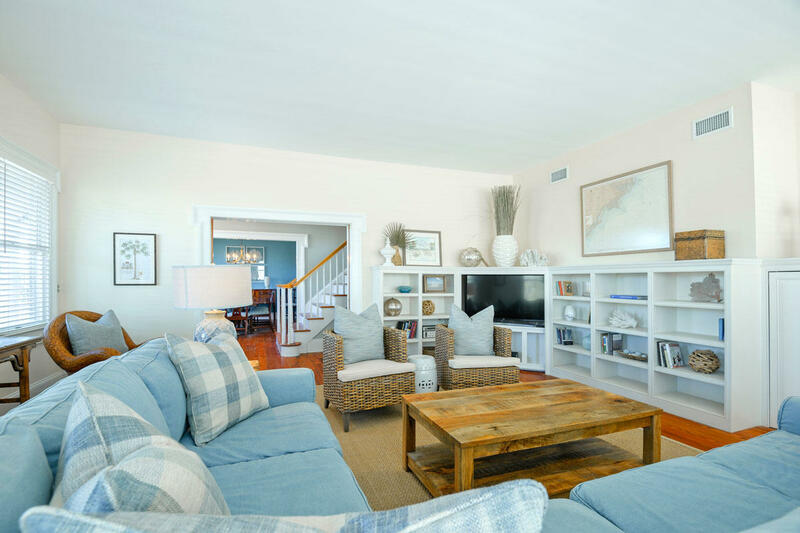 Another informal dining area opens to a sunny family room with ocean views. 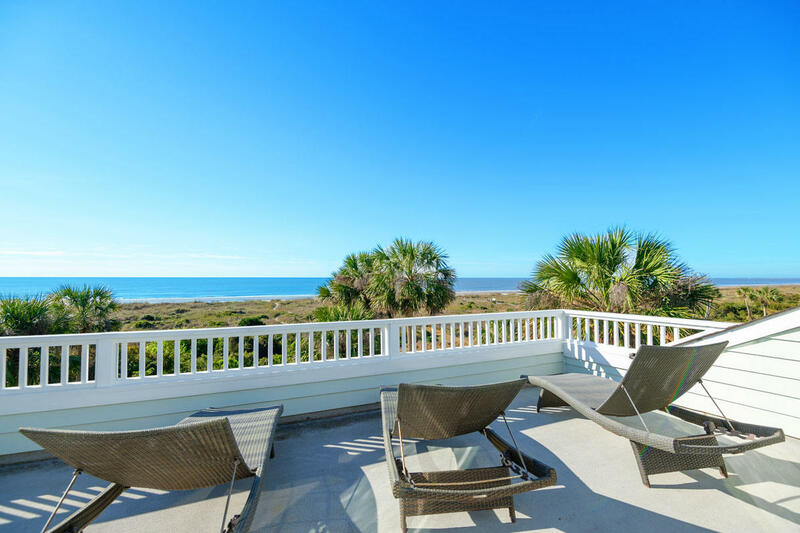 A covered deck stretches across the back of the home to enjoy the water views. 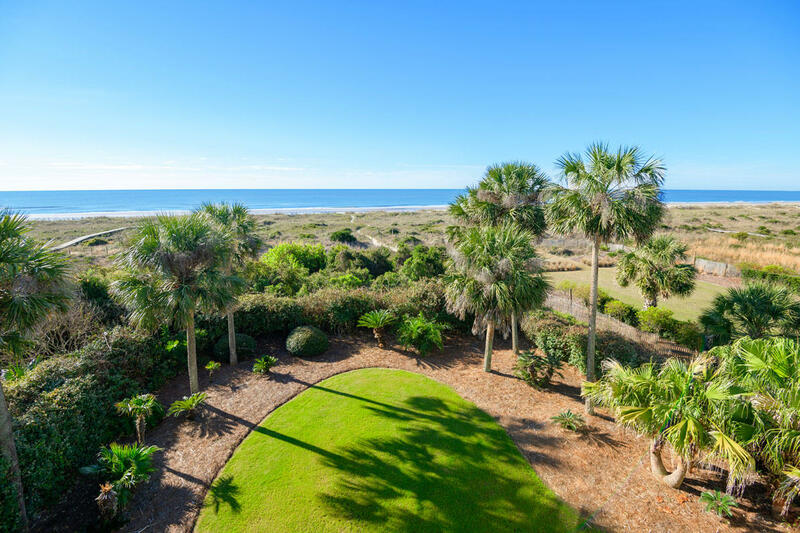 The nicely-landscaped back yard has a grassy area and towering palmetto trees. 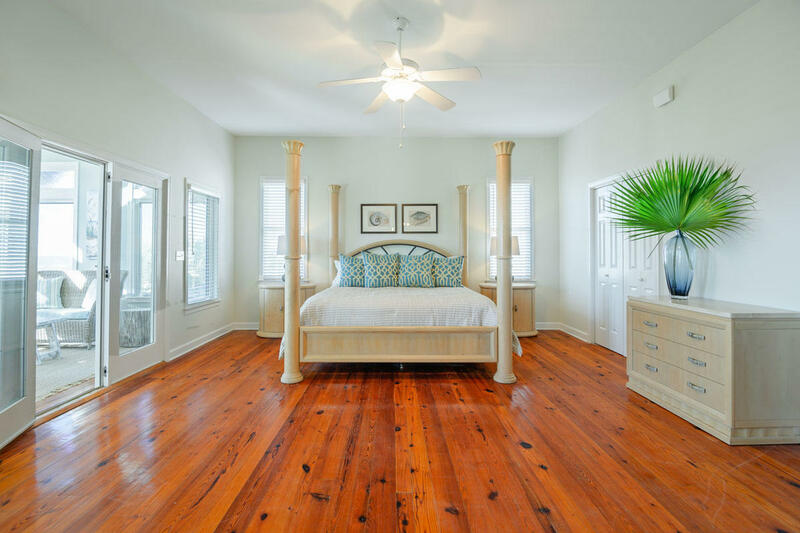 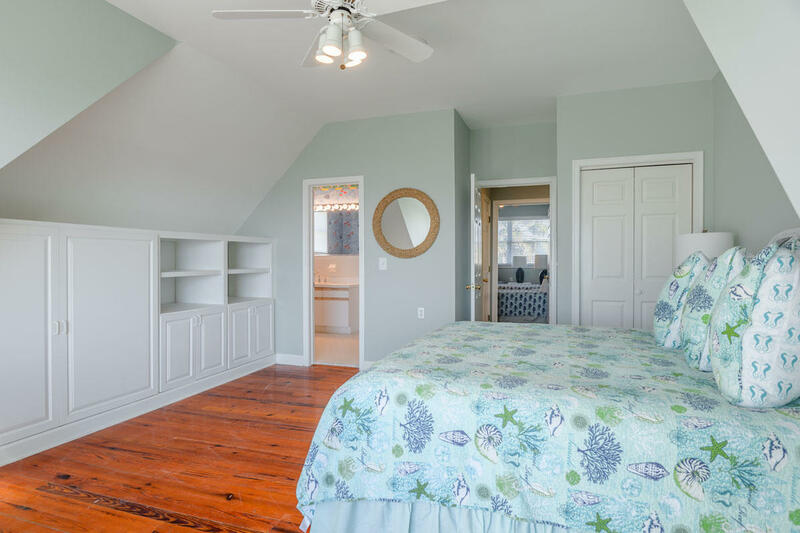 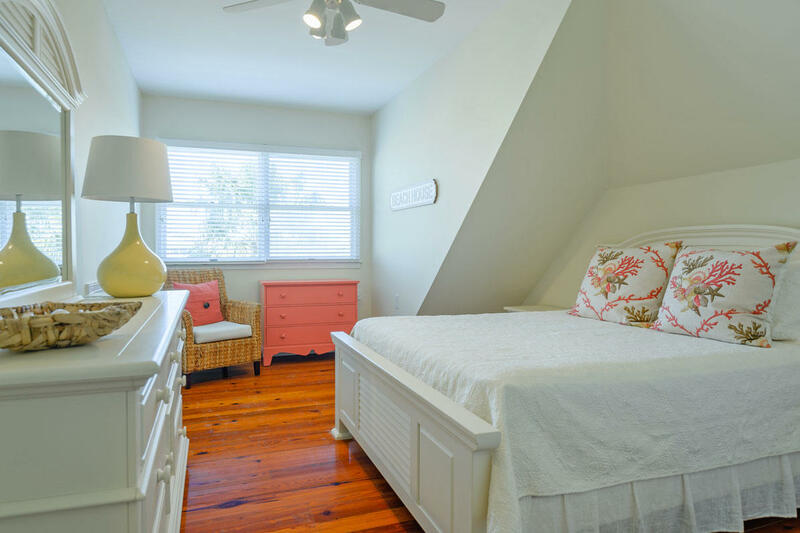 The master bedroom is located downstairs and includes a private beachfront sun room. 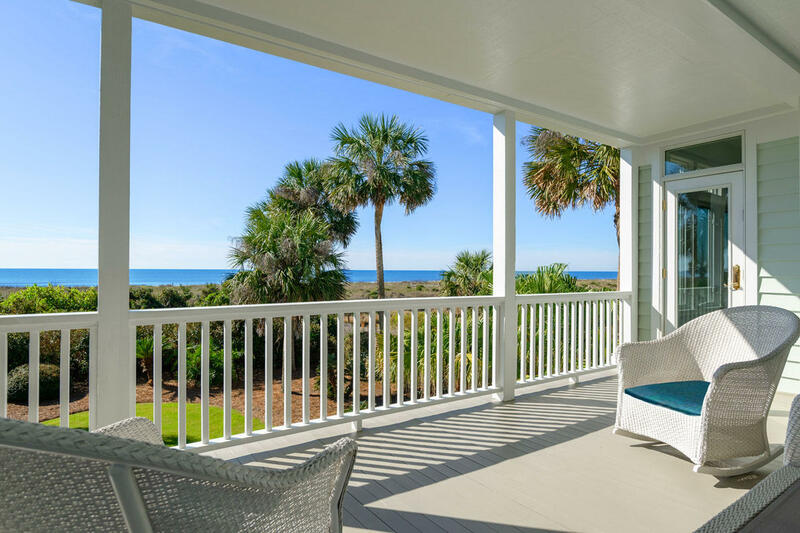 Enjoy the ocean breezes and let the soothing sounds of waves lull you to sleep at night. 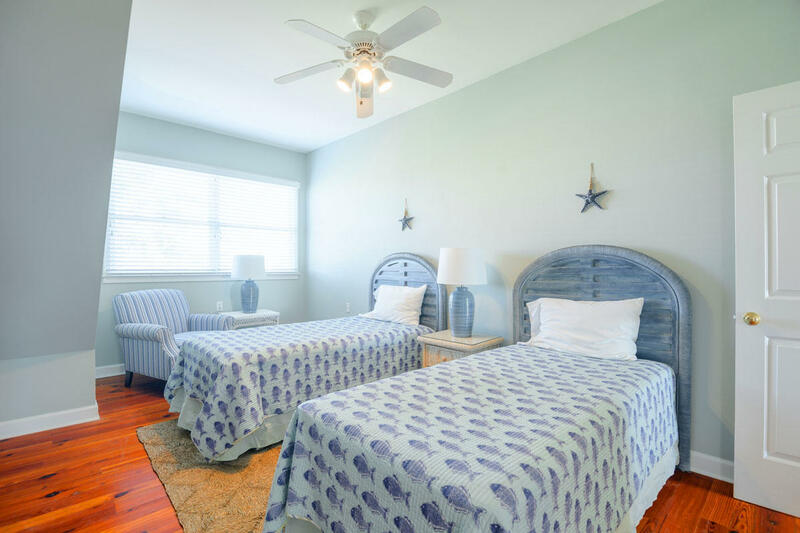 The master suite also has his and hers walk-in closets and a large bathroom with dual sinks, a spacious walk-in shower and a jetted tub. 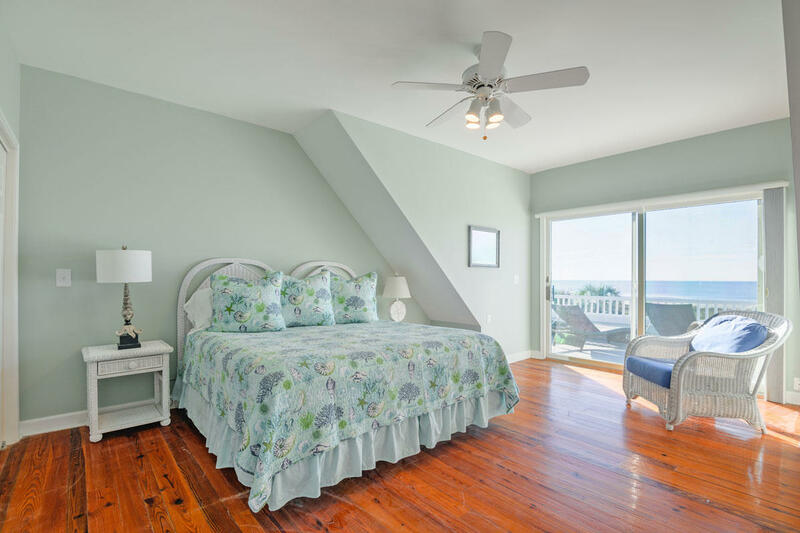 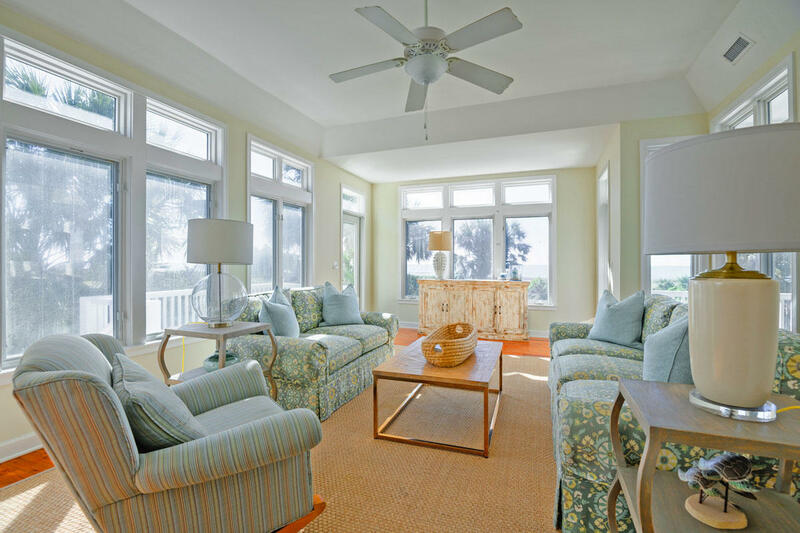 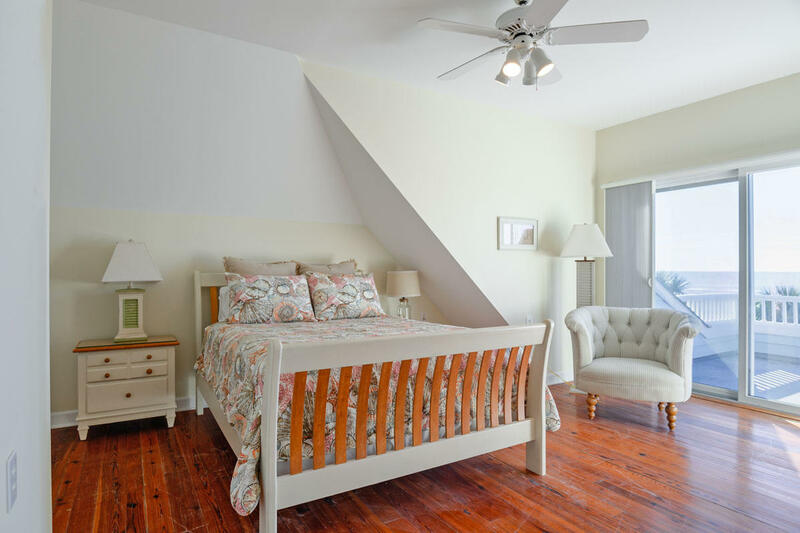 Upstairs are 4 sizable bedrooms, 2 of which access an upper deck with panoramic ocean views. 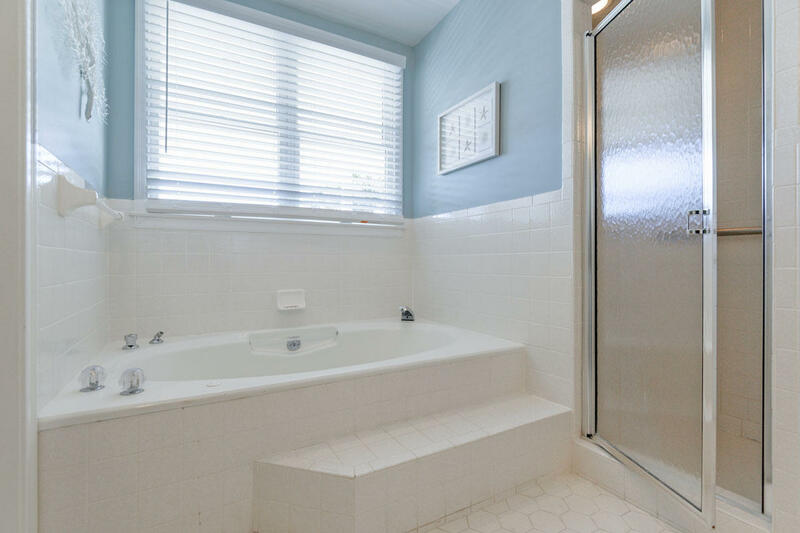 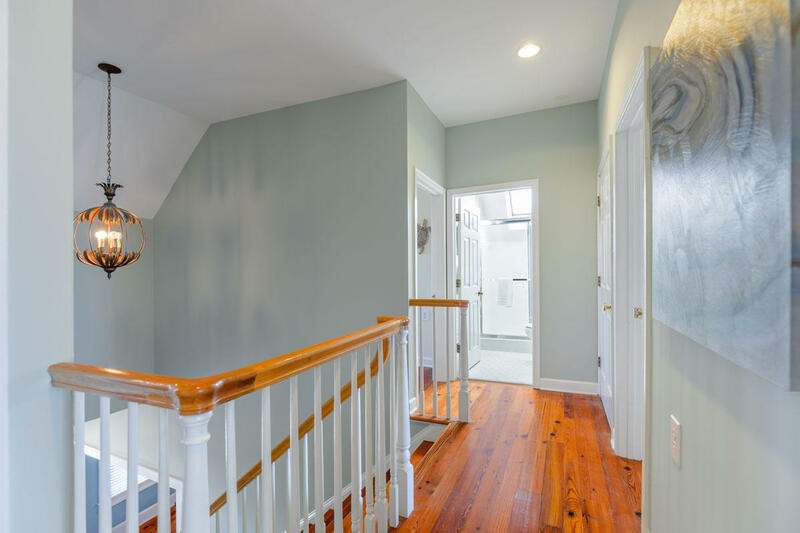 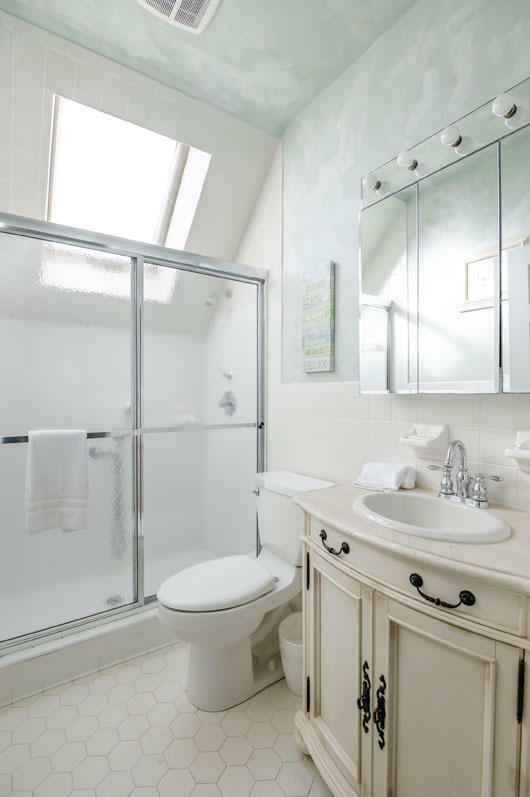 A large Jack and Jill bath connects 2 of the bedrooms and the other 2 share a full hall bath. 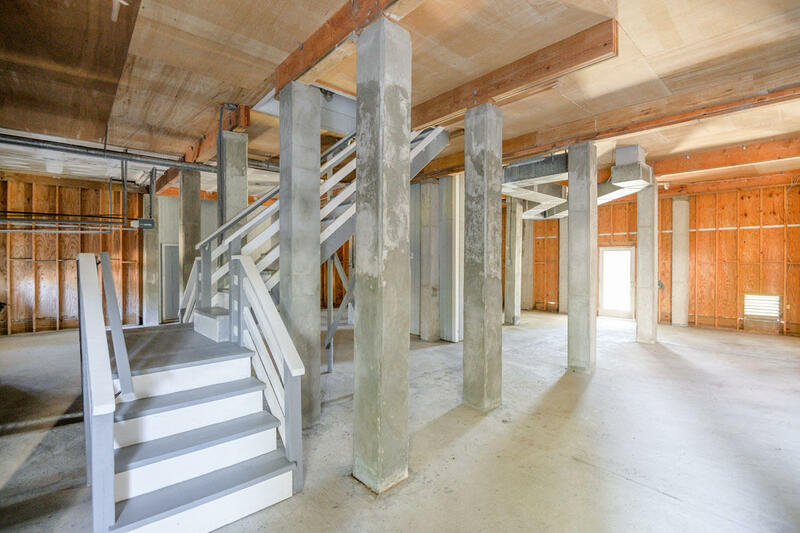 Garages underneath the raised house provide parking plus tons of storage for all your beach toys and supplies. 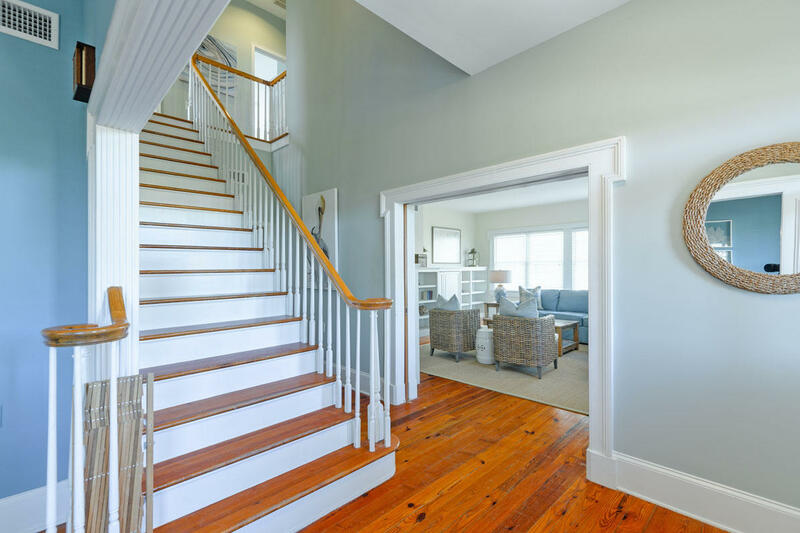 An elevator services all 3 levels of the home. 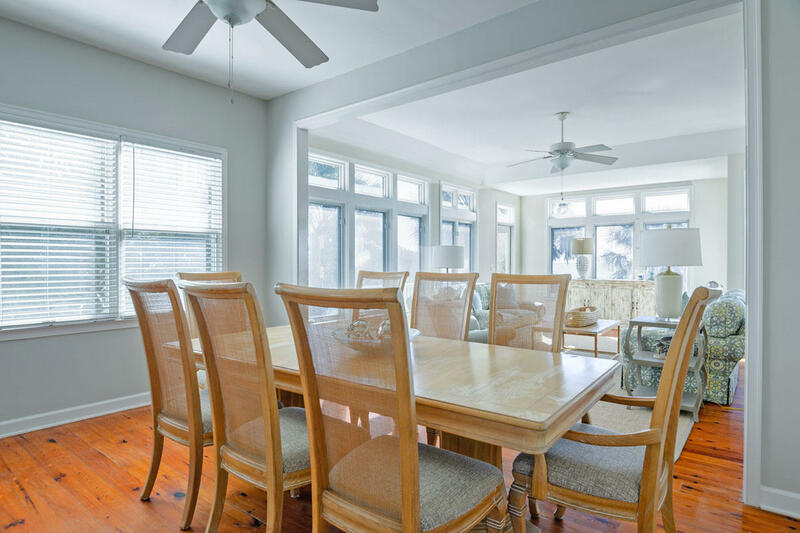 A covered patio stretches across the back of the house, providing abundant outdoor living space. 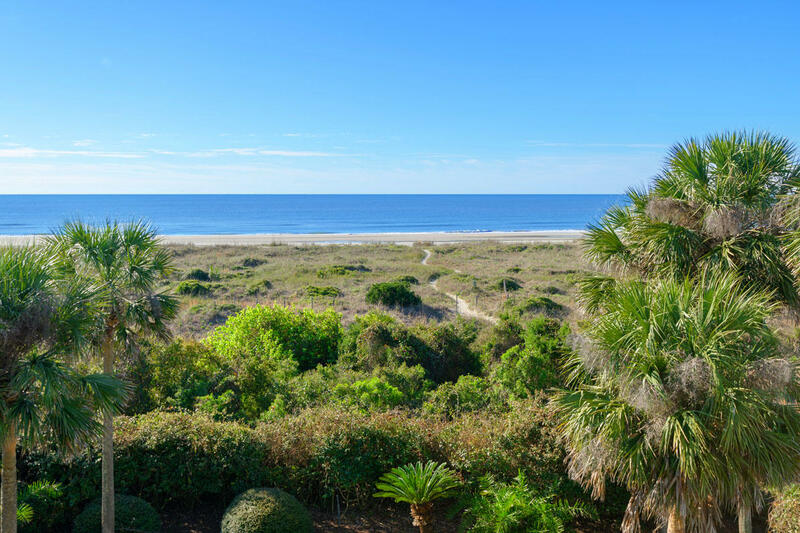 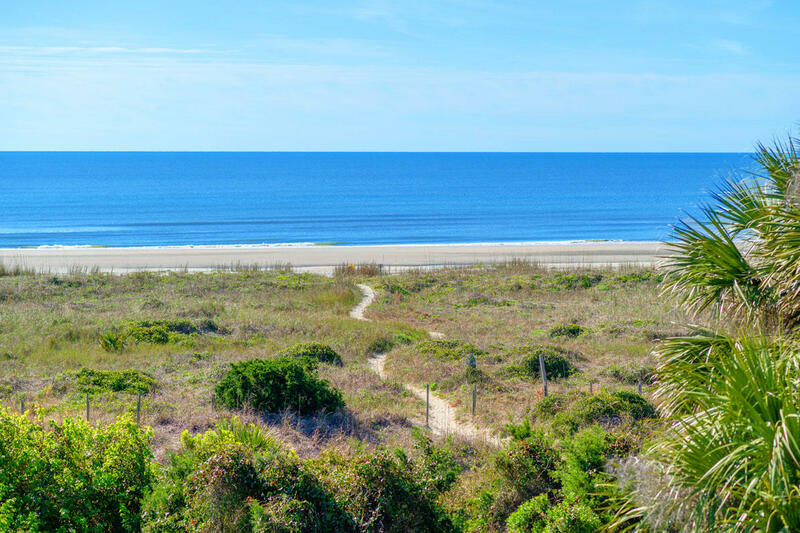 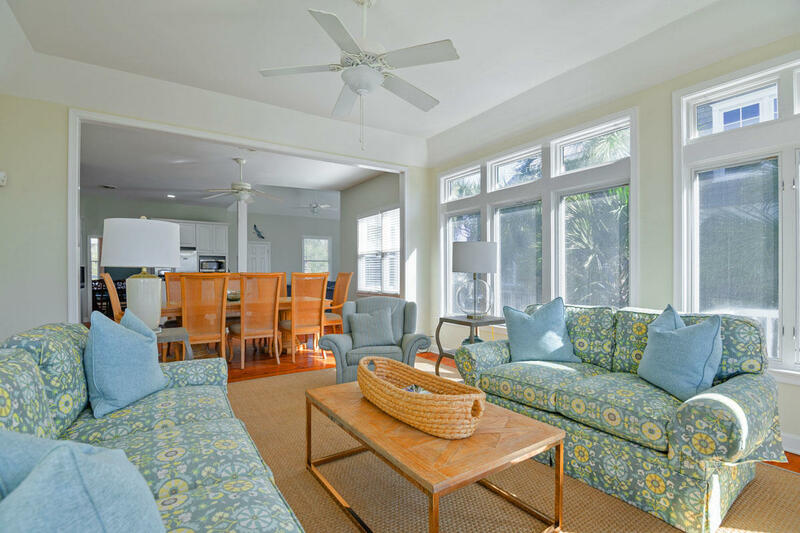 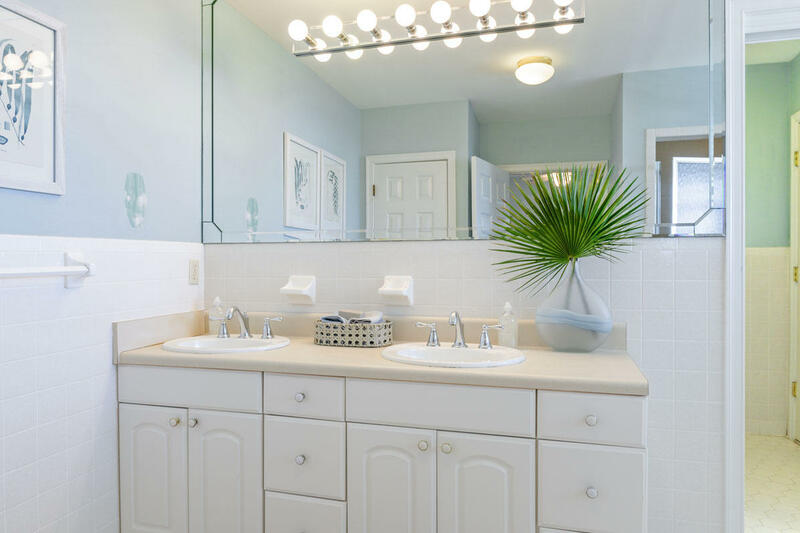 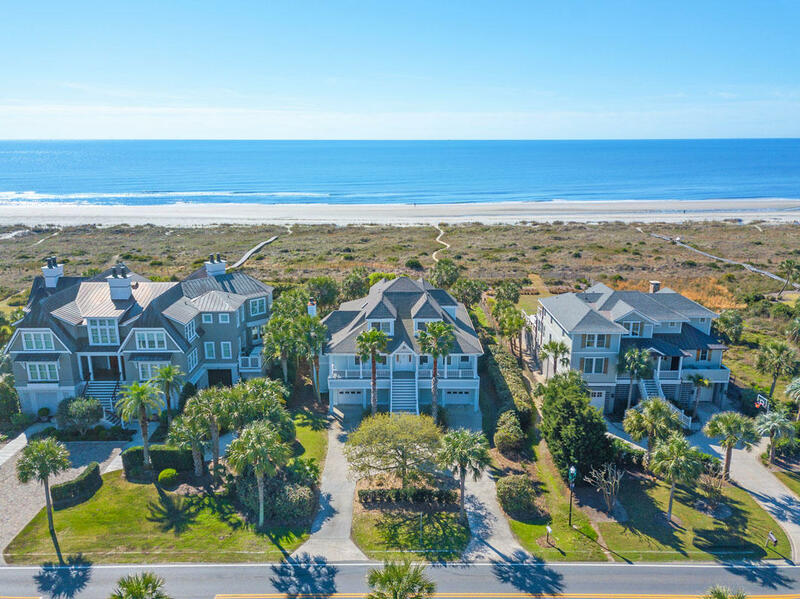 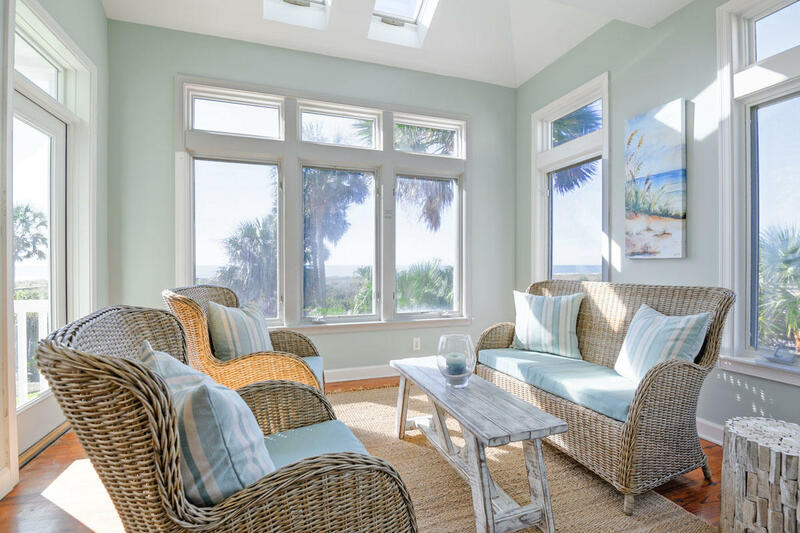 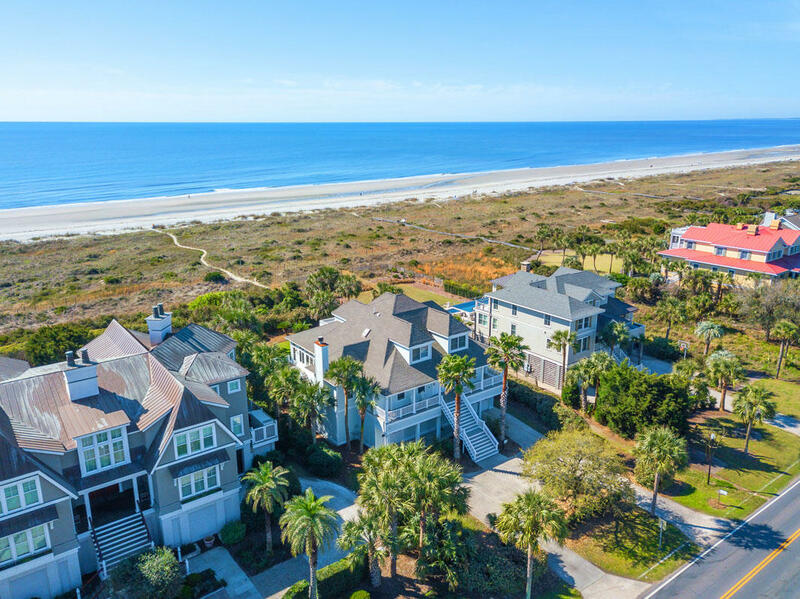 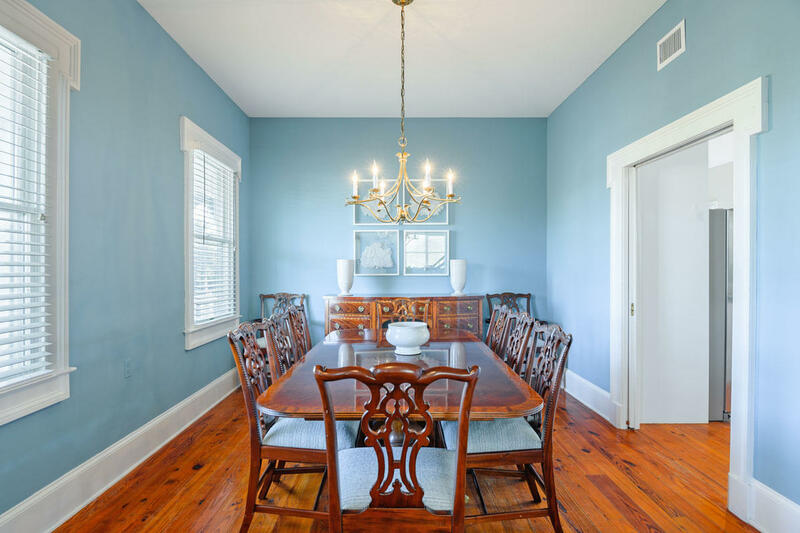 It opens to a private back yard that has direct access to a beach walk, so you can just meander a few steps to the famous IOP beach to soak in the sun. 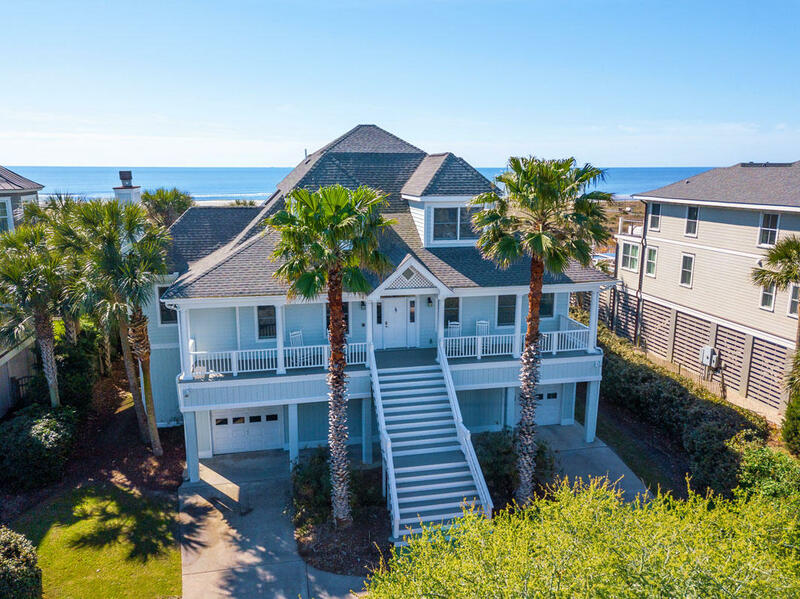 Whether your family enjoys living in this oceanfront home for years to come, or you desire to own a lucrative beach rental property, 3800 Palm Blvd. 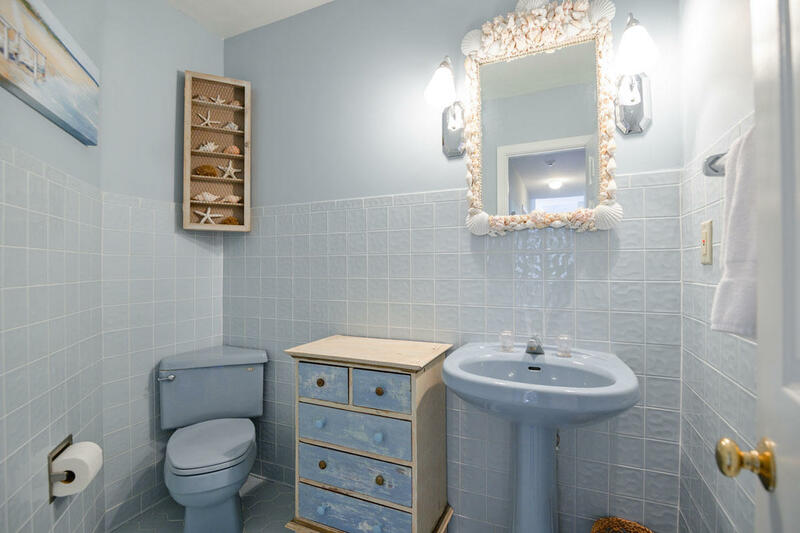 will make all your dreams comes true.